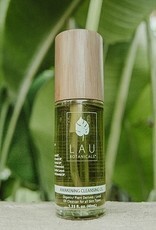 Home / Lau Botanicals - Awakening Cleansing Oil 1.35 fl. oz. When it comes to acne-prone skin, don't be shy. 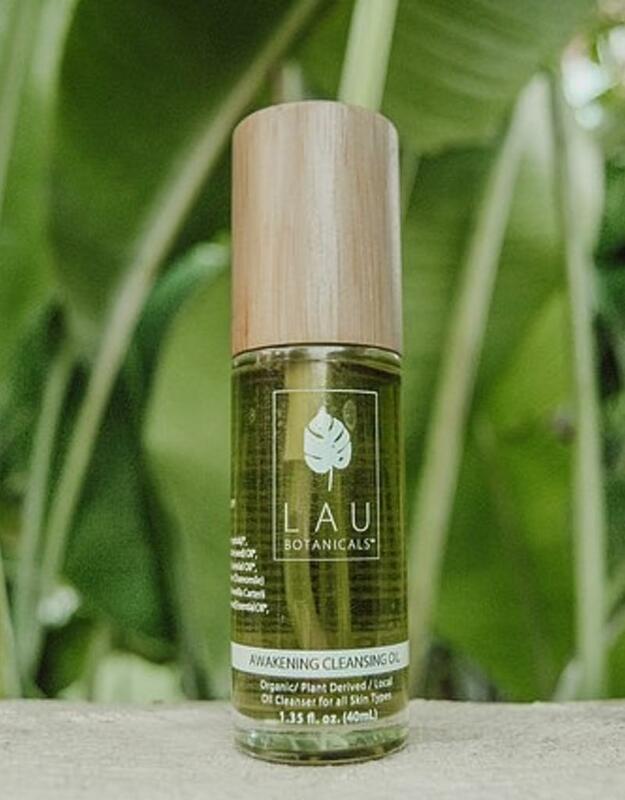 Awakening Cleansing Oil works effectively for every skin type.The alluring blend of essential oils reduces bacteria levels on the face protecting acne prone skin, and helps hydrate without oversaturating the skin with oil. Awakening Cleansing Oil melts away makeup. Use around the eyes to help to illuminate dark circles and awaken any dullness in the tender tissue around the eye. Blue tansy organic essential oil and avocado oil is what gives it its beautiful color. Ritual - Massage a few drops into dry skin, then wet hands and gently massage into skin with warm water. Follow with Island glow serum. It is normal to see small pieces of flower petals in the Awakening Cleansing Oil; during the formulation process some of the carrier oils are infused with various organic flower petals.